The post-New Year’s blizzard in Virginia did a number on the port. 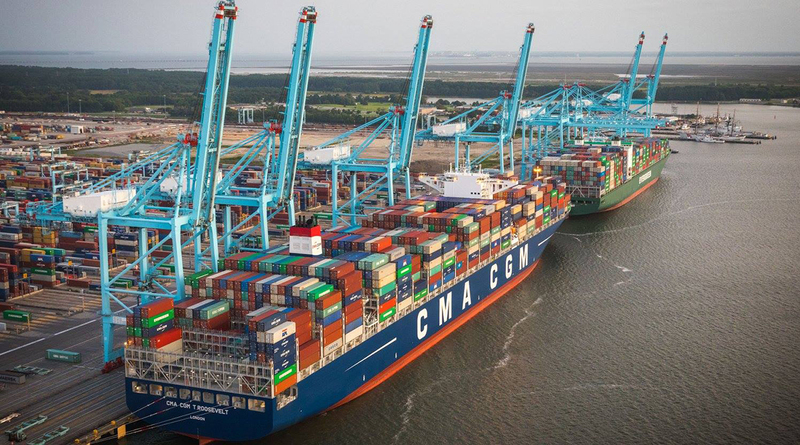 January cargo-container volume was down 3.5% from the same month a year ago, the Port of Virginia announced Feb. 8. Last month, the port’s terminals moved 220,534 containers, measured in standard 20-foot units or TEUs, down from 228,516. “Snow in Virginia is a reality this time of year and two lost workdays in the early part of January as the result of the blizzard are reflected in our totals,” said John Reinhart, the CEO and executive director of the Virginia Port Authority, in a statement. January 2017 was also the port’s best January on record, so any comparison even without the snow would have been tough. For the first seven months of its July-through-June fiscal year, the port is up 4.4% for TEU volume vs. the same period last year. Import-loaded TEUs last month were up 2.8% year-over-year, while export-loaded TEUs fell 15%. Truck-container volume in January was up 2.3% compared with the same month last year, while rail-container volume was down 9.4%.